Rob Hord has been involved in commercial real estate since 1996, during which time his responsibilities have included site selection and acquisitions for RED and third party developers, general commercial sales and listings, tenant representation, and income and investment acquisitions and sales. 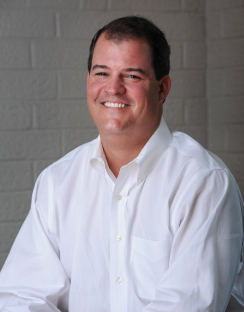 Prior to joining RED, Rob was the business development coordinator for Lawyers Title Insurance Company in Charlotte before spending five years in commercial property brokerage with McGuire Properties, Inc. At both Lawyers Title and McGuire Properties, Rob was consistently recognized for his success and achievements. Rob has been in the commercial real estate industry for over 16 years and has been recognized on multiple occasions by the CRCBR with both the silver (over two million) and Gold (over ten million) Awards. Throughout his career, Rob has been directly involved in real estate transactions totaling over $100,000,000 in value. In addition to the above referenced responsibilities, Rob specializes in land, retail land, office tenant representation, and working with closely held family entities with real estate holdings. Rob is a native Charlottean and is actively involved in charitable and community activities, including Pats Place, The May 20th Society, Myers Park Trinity Little League, and The Charlotte Kiwanis Club (Past Board member and Foundation Committee member). Rob is married, has four children and lives in Charlotte.